These are part of the new comers group. 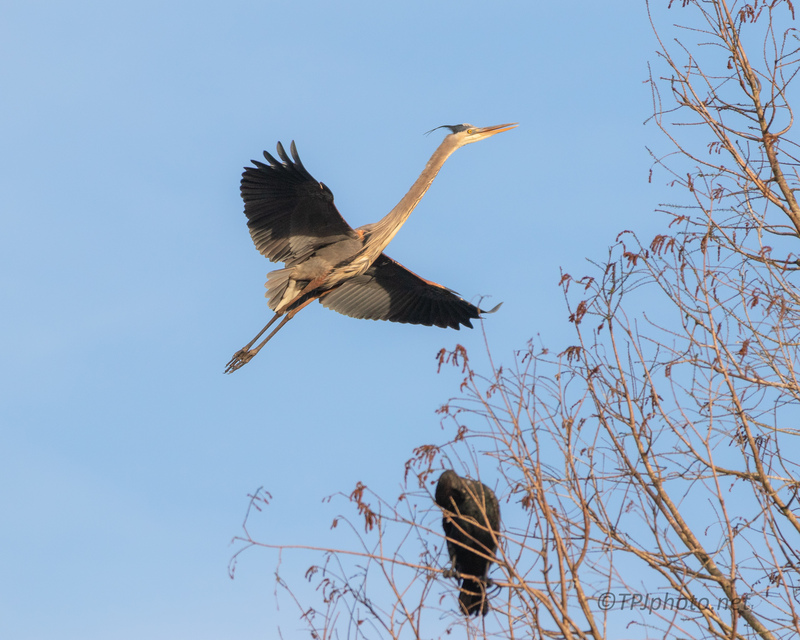 The other day a small flock of Great Blue Herons were flying over the rookery, very high up. Suddenly as if on cue they all turned and came dow low and fast. Each bird made a few erratic circles around the swamp and landed on a tall tree in the island. All the nest sites were occupied so this was an entirely new group and looked to be their first time in the rookery. It was like they stumbled on it as they flew by. 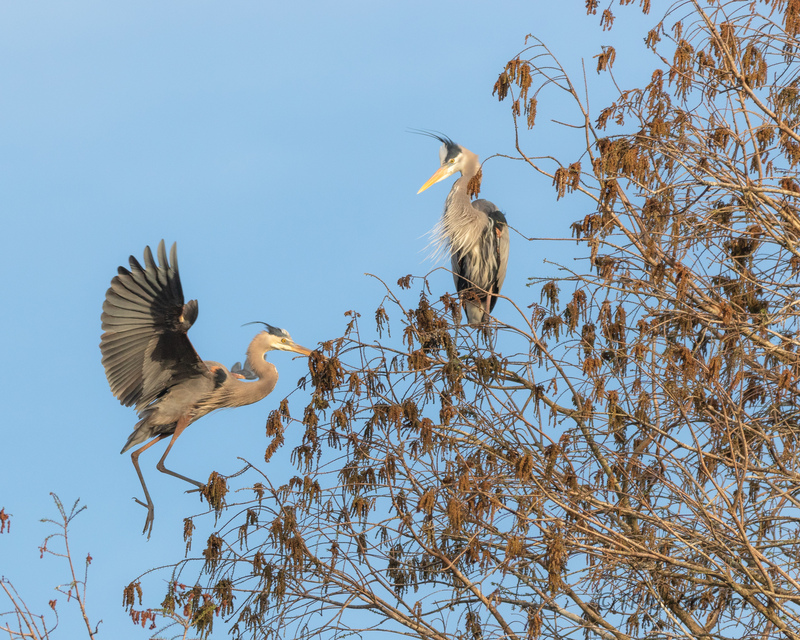 If they stay there will either be a new series of nests, or a lot of Herons fighting territory. Note; we have been traveling so my articles have all been scheduled a few days in advanced. This is why they may seem sporadic. My intent is to keep publishing consistent all the time, and we publish multiple works, multiple sites, daily. Sorry if the flow has been off. Also I cheated. Typically we bring a small office with us no matter where we are. Always on line with PC’s, software, etc. Not this time. A back pack of photography gear and a few changes only. We should be back to normal in a few days. This tiny keyboard is getting old.